When looking to improve the space in a facility, there are quite a few options for the company to consider. When looking to expand, a company must make sure that all of their options are looked at and fully evaluated. Immediately, many will look for a brand-new space altogether or look to add on to their existing space. Oftentimes, making the most of their existing space is overlooked or not thought of as an option at all. 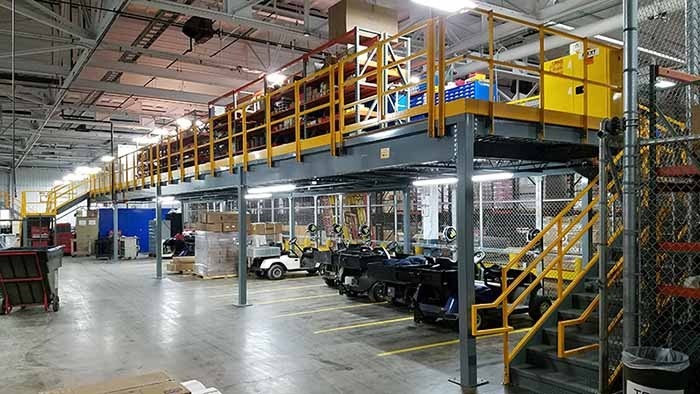 Installing a mezzanine (a second floor above the facility floor) can double the usable space in a facility by Dutilizing the unused vertical space. However, the question still remains, “what’s the best option for you and your company?” Well, for most this all comes down to one pivotal factor, cost. 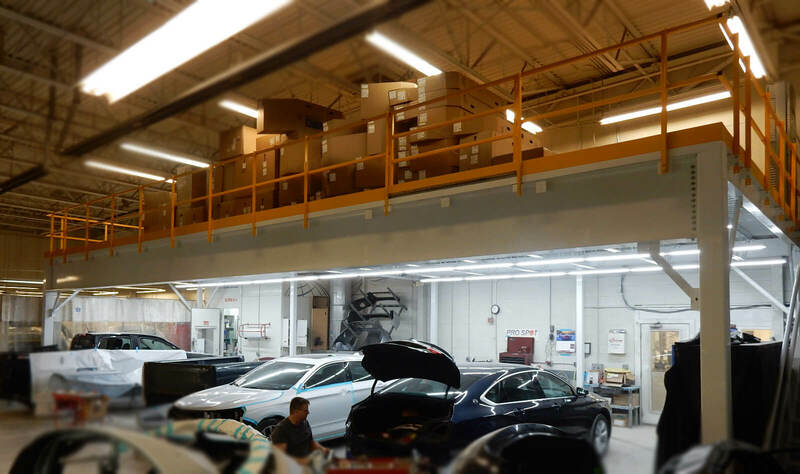 So, in this post, we will break down the driving factors in the cost of installing a mezzanine in your facility in order to increase value-adding space. The first and most obvious factor that drives the cost of a mezzanine is its size. The more area that you will be adding to your facility, the more materials that it will take to create this area and the longer it will take to install the structure fully. However, as mentioned previously, doubling the useable area through other avenues would cause the same thing to happen. Renting out additional space, building a new facility to accommodate your size needs are both more expensive options than adding a mezzanine would ever be. In the same vein, the height of the mezzanine will also be a driving factor in the overall cost of a mezzanine. The length of the columns will cause the overall cost of the material to increase. As you can imagine, creating a work platform that is 14 feet off the ground would be much more difficult and time-consuming than a work platform that is 4 feet off the ground. You will also need to consider the stair system that will be along with the mezzanine. The higher the deck of the mezzanine, the higher the stair system will need to reach. 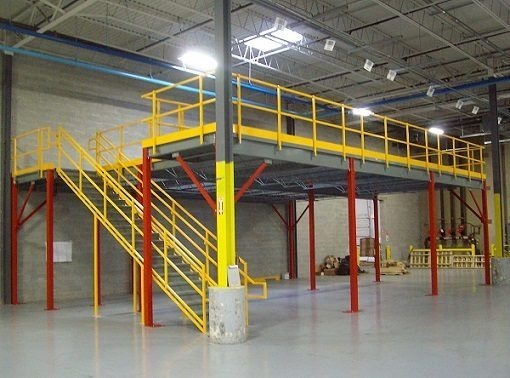 Generally, mezzanine manufacturers try to stay keep their structures in a standard, rectangle-like like design in order to ease their process of manufacturing. However, there are many alternatives to this, as well as flexibility in design. For Panel Built, we will design a mezzanine to a customer’s specific design and standards (as long as it’s feasible). Structures of different shapes like triangles are fully within our realm of production. Although for many manufacturers these unique shapes will drastically increase the price of the mezzanine, for Panel Built, these variations actually have little impact on the structure’s overall price. Also, column placement underneath the mezzanine will sometimes need to be increased or decrease due to the activity going on below the mezzanine’s deck. If you need to minimize the number of columns under the mezzanine, there will need to be alterations to the rest of the mezzanine which could increase the price. One of the biggest often overlooked impacts on mezzanine pricing is the pounds per square foot the mezzanine will hold. 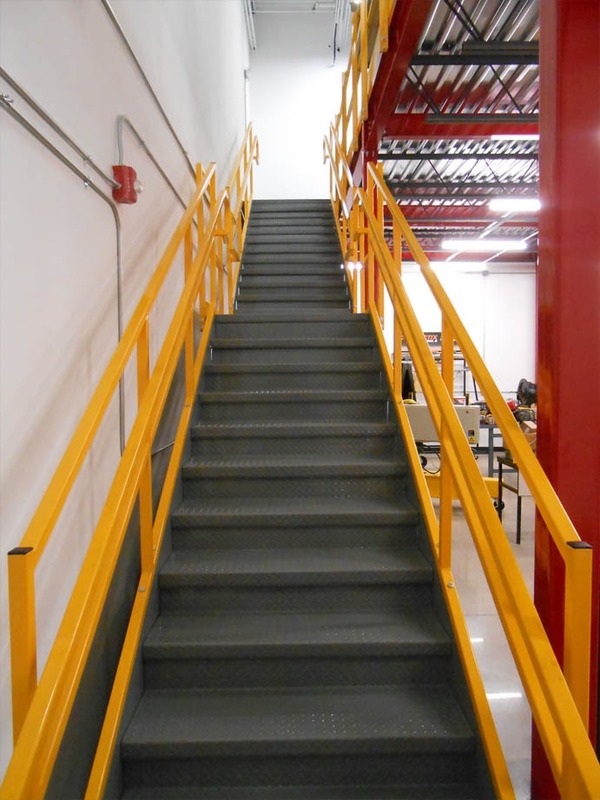 For a typical mezzanine that we manufacture, the standard load carry will be 125 pounds per square foot. The reason that PSF is a driving factor in the mezzanine process is that it directly impacts the materials the mezzanine will be constructed with. To increase the pounds per square foot, the horizontal beams of the mezzanine will need to be increased in size in order to accommodate the additional load. This increase will increase the overall cost of materials as well as the price of the mezzanine. With each mezzanine project, a certain function must be met in order to provide the best possible space solution for our customer. Sometimes the mezzanine will function as a storage area, and sometimes it will function as a conveyor platform or a work platform. There are practically endless possibilities. However, each different function can require specific features for it to work properly. For instance, a storage platform will likely need to have handrail all around the deck, but the facility will need a way to get the inventory on to the platform with their forklift. So for these instances, we offer a variety of gate systems to best fit their specific need. The gates allow for the safe transfer of the units on and off the mezzanine system. Of course, these unique features can increase the price of the mezzanine. 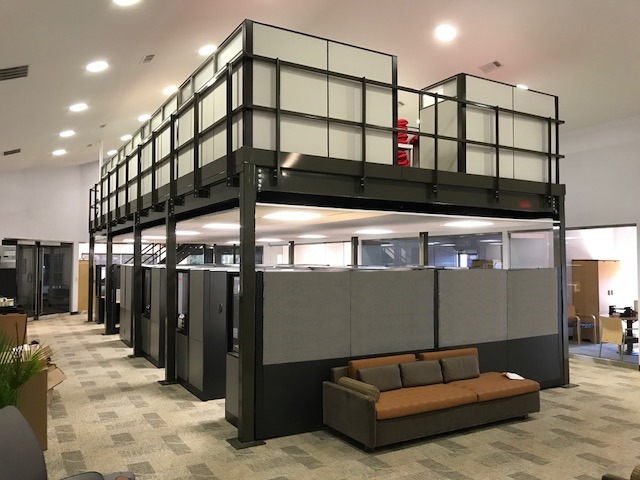 Another option that will affect the cost and overall design of the mezzanine is the code or set of standards that the mezzanine will need to be designed to. There are two main codes that Panel Built typically deals with (although we will adapt to fit others), IBC and OSHA code. These two codes serve different purposes. OSHA codes typically will deal with structures that are only accessed by employees of a facility and not the general public. While IBC code will deal with the structures that are open to the public; IBC being the stricter of the two. These codes will mostly impact the handrailing and stair system design that will be used for the mezzanine. IBC will require an additional piece of handrail, reduce the rise over run of the stair system, and increase the width of the stairs. Overall, this leads to more material being needed to build the structure, increasing cost. 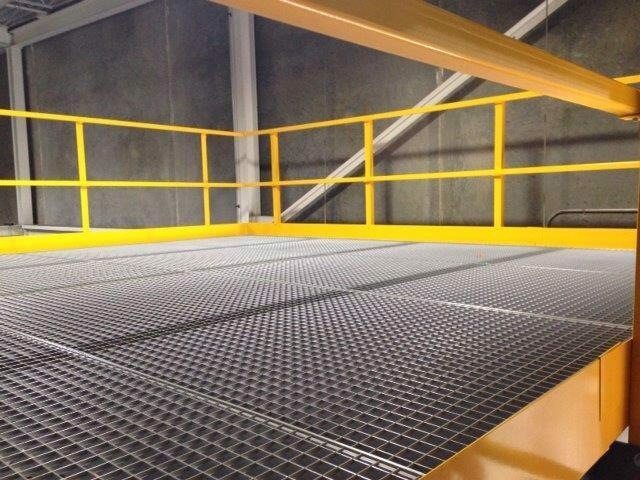 Overall, there are a variety of factors that go into the cost of a mezzanine system. 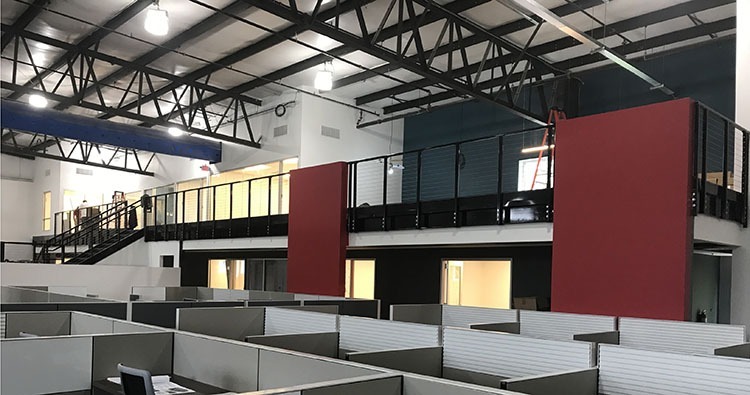 However, no matter how much detail our customers need for their space solution, Panel Built, Inc. is more than happy to go above and beyond their expectations not only in design and fabrication but also in customer service. We provide each of our potential customers with a quote on their mezzanine project in 24-48 hours. So if you have been trying to decide the best way to maximize the space in your facility, give us a call at 800.636.3873 or send us an email at info@panelbuilt.com. We are always more than happy to help answer questions to make your facility the best it can be. Still have questions? Ask us in our LiveChat in the bottom right of your page!